HP and Dell have warned that rising wages in their Chinese supply chain may end up being passed on to consumers. What. The. Heck. Last week Foxconn pushed its starting salaries up from 900 yuan ($143) to 1,800 yuan per month, the latest and biggest in wage upticks that began in 2010. Foxconn did this for one main reason: international attention focused on the firm and associated ethical questions surrounding its treatment of workers. The lens through which this attention was focused bears just one name–Apple–because the iPhone seller is one of the biggest companies in the world, and has recently made very bold steps to improve worker conditions. But Foxconn is actually a key supplier for a laundry list of international electronics firms, from Samsung to numerous household American names. Now two of those firms, tech giants HP and Dell, have warned that rising costs in their Chinese supply chain may result in increased in-store prices for their wares. Just think about that for a minute, let it simmer in your mind. While it’s cooking, here’re a few spicy facts to add to the flavor. 1. Apple, facing enormous criticism about unfair treatment of workers in its supply chain–who technically work for a totally different company, in a different nation with a vastly different social and economic background–has tried to improve the situation, and has admitted errors publicly. 2. 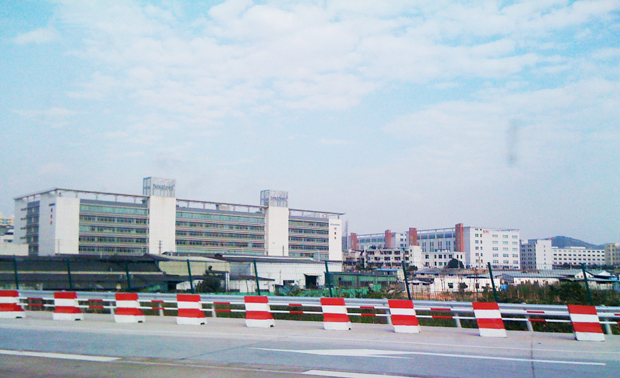 Foxconn faced controversy in the past over its supposed suicide problem. As a harsh statistic it’s worth pointing out its actually much lower than the Chinese average. Infer from this what you like about worker conditions. And remember that many potential employees are battling to work at Foxconn compared to its competitors. 3. In early 2011 it was noted that China already had the third highest labor costs in the emerging Asian economies. 4. China’s work ethics, worker conditions, and economic situation are radically different than those in the U.S., influenced by Chinese politics, history, local economic effects, laws, social habits, and tradition. 5. Raw global economics and relative currency values mean that the local equivalent of a dollar can go further in many nations than you may expect it to go in the U.S. Anecdotally a can of Coke costs $0.34 at equivalent rates. Let’s ignore the odd idea of looking at Chinese work ethics through glasses tinted with Western experience, let’s skip merrily past complex global politics and economics, and brush over how critics ignore the fact economies in countries outside the U.S. work very differently, including with different value associated with cash. Ignoring all this, we can say many Western consumers may be happy to pay more for a premium device if they knew it was produced under more comfortable–Western-like, natch–situations. But Apple hasn’t said it’ll raise its prices because of all these moves. In a way it doesn’t have to, it can eat any increased costs passed onto it by Foxconn thanks to its high profit margin. Good business planning there. Dell and HP aren’t doing so well financially, and losing increased production costs in their thinner profit margins may not be so easy. But these firms have kept their head below the parapet in the Foxconn battle thus far, and now their bold move is to say “folks must pay more.” That’s at the least incredibly uninspiring, and the opposite of innovative. No one’s apologizing for Apple, nor saying Foxconn’s employees enjoy the very best of conditions. But maybe it’s time to suggest other computing giants like Michael Dell’s outfit, Korea’s government-intertwined big name, and Meg Whitman’s new gig start thinking differently. That means applying their innovative, creative thinkers into changing their supply chain dynamics, improving worker conditions, being open about their suppliers, actually adapting their behavior from make-it-low-cost/stack-it-high/sell-it-cheap. Think of all the lovely positive PR. Related: The Foxconn Effect: Where Will Electronics Be Made If China’s Wages Rise?